Late last evening I participated in another scramble at the Hero Arts Flickr group. Greta was our hostess, and she really made it a scramble. 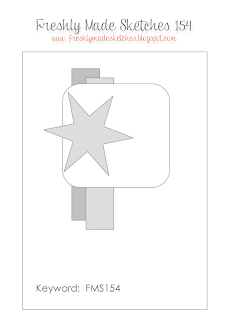 We were to use something non-traditional on or in the making of our card. I used a paper shredder. I stamped the Life of the Party Dots background stamp inked with Field Greens, Cup O Joe, Butterbar, and Orange Soda on to a piece of white cardstock. After it dried a bit, I sent it through the shredder. Now I have often had the urge to send a card project through the shredder, but never have I had the urge to pick pieces of shredded card back out. So, I decided that was my non-traditional portion of the scramble. My method of creating my horizontal panel. The same background stamp was clear embossed on orange cardstock. I also stamped leaves-from the 3 Dotted Flowers stamp, and heat embossed them in gold HA embossing powder as well as the sentiment which is from the set Good Friends. All embossed items were fussy cut. I put the card together by lining up my shreds, and gluing them down. Next the leaves were glued down, and the orange panel was wrapped in gold thread. The sentiment was then wrapped around the card and secured in the back. Then the completed front panel was added to a brown card base with foam tape. This is a 4 Bar sized card. Congratulations Lucille. Thanks so much for your visits and kind comments. Please email me your mailing address at catluvspaper(at)gmail(dot)com. I'll get your prize out to you. 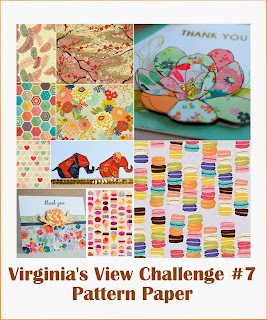 I signed up for the September Card Chain Challenge at Society of Stampaholics again this month. I decided to use the color palette that Deborah suggested for one option of the card exchange. My card is going to my blogging friend Greta. I water colored a piece of water color paper with Koi water colors. Then I die cut it with Spellbinder deckled edge rectangles. Next I die cut three SSS leaf columns, and coated them with Distress glitter in clear rock candy (I love this stuff). My final die cut was the SSS bow in a nice olive green. The leaf columns were trimmed just a bit to fit on the panel, and the bow was added. All was placed on an A2 sized card base using foam tape. I did not add a sentiment, because it was fine just as a note card. The photo is not perfectly in focus, but the upside is that you can see the sparkle from the glitter--and the bow almost looks velvety. Think about signing up for the next challenge here. I am adding this to the Simon Says Stamp Challenge #2 at their flickr group. The challenge runs until October 2nd. I used the left to right diagonal in the tic tac toe options board. It is always hard to make those masculine cards. I love the pinks and yellows and girly flower stamps...so wrapping my brain around man cards is tough. I bought this stamp quite a while ago, and I may have used it once before. I though it would make a great card for my Dad. A bit of nostalgia with the swing. I stamped it in Memento Tuxedo black, and inked up the background very lightly with distress inks. Then the tree was colored with copic markers to make the scene fall-ish. I stamped the card base with some distress ink and a Stampers Anonomous wood grained stamp to add some texture to the card base.The Happy Birthday sentiment was stamped in Memento as well and comes from Simon Says Stamp. Of course, since my Dad adopted two kittens early this summer (Digger and Jack) he really needs a birthday card from them as well. And of course they are cats...so minimalism rules. Last Saturday I participated in one of my beloved Hero Arts scrambles at the Hero Arts Flickr group. There is something invigorating to be given instructions, then 90 minutes to complete your project, photograph it and upload it to the group. Cindy's theme was to go back to basics...no embossing of any kind, no die cuts keep it simple to our card making beginnings. All stamps are from Hero Arts. I stamped the Roses from the Pattern Hearts and flowers, then colored them. I fussy cut them out. Next I stamped Number Patterns in Soft Sand on a Hero Arts Card base in a similar color. The effect is very subtle. The roses and some pearls were added to the vellum overlay.These are Martha Stewart pearls and some gems from Hero Arts...Those MS pearls seem awfully big now a days, so I tucked them behind my fussy cut rose panel. Try a scramble...another is coming up in two weeks. Check the hero arts Flickr discussion boards for times. I had a bit of time while waiting for the bi-weekly Hero Arts scramble to start, and I loved this sketch over at Freshly Made Sketches. I decided to make a card for my growing pile of Halloween cards. I used some Lifestyle crafts rounded squares to cut my focal point, my sentiment is from Simon Says Stamp, papers are from Stampin Up, and the pumpkin is from Lawn Fawn - colored with Copics. I am not a fan of scary creepy Halloween, but I do like cute! Give the sketch a try, you have til Monday at noon PDT. Thanks for dropping by! I was so exited to see that Simon Says Stamp is having a new challenge in their flickr group. I let the time get away from me, and am getting this entry in under the wire. The first challenge is a color challenge, we are to use at least three from the image. I think I have managed to use all 5 colors - my inks are from Simon Says Stamp - Sunshine, and Orange Peel, Hero Arts -Field Greens and Soft Granite, and Jet Black Archival Ink from Ranger. The stamp set is Flower Friend from Simon Says Stamp. I first drew a light pencil line curve along the right side. Then I stamped the flowers and leaves along that line. I wanted a dramatic color pop, so I cut along the flower garland leaving a small white edge. I then backed it with a piece of black cardstock and heat embossed the sentiment in white. P. S. To view my blog-iversary post please click here, I have a give away open until September 25th, 2014. Today, September 15, 2014 is my 2 year blog-anniversary. I am so enjoying making cards and sharing them. I also am so thankful for the blogging friends I have made these past two years. You are all kind, talented, and absolutely wonderful! Thank you for your support, visits and kind comments! To celebrate, I have made two cards for you my visitiors...and I will have a little give away of some crafty items as well, just leave a comment by Thursday 9-25 at 11:59 pm edt telling me how long you have been crafting---and what your crafting start was. A winner will be announced Friday September 26th, 2014. I used the Hero Arts Etched Flowers stamp for the main image for both cards. I used distress markers and Canson 140 cold press water color paper for the image. On each panel I colored the stamp and then stamped it. Next I softened it by adding water with a brush. I wanted a soft feeling to the image. The second card, uses only the large flower image from the stamp, stamped repeatedly. The first card is mounted on SU and Bazzill card stocks, the MFT sentiment is heat embossed with HA embossing powder, and a bit of DMC floss for the bow. The second card is overlaid with vellum mounted on a Hero Arts card base that was heat embossed with gold thin strips from Stampendous. The sentiment is from SU, the pearls are from Martha Stewart. The gold string, is on an unmarked spool. Both of these panels were made while Hubs and I were in Maine for a week. He had a seminar to attend and we flew up a few days early to play tourist. We did some sight seeing, and I will leave you with a picture of some of my favorite trip images. I made this card for a friend. I had read an article about dogs that made me laugh. She has two golden retrievers, and I thought she would find the article amusing. I couldn't just put it in an envelope...it needed a card. And gave me the impetus to play with a new to me stamp and stencil combo. The stamp and stencil are from Stampers Anonymous-Perfect Peony. I love peonies they are just so lush and gorgeous. I first stamped it in Soft Vanilla ink on white card, and then placed the matching stencil over it. I decided to color with distress inks, and used a combination of tattered rose, and worn lipstick for the flower and peeled paint and mowed lawn for the leaves. I decided that I wanted more definition to the flower so I stamped it again through the stencil with fired brick. I then needed to soften those lines just a bit, so I went over it with some more tattered rose. Then stem was stamped again with pine needles. Over the weekend I had out my Silhouette Portrait, and I cut out loads of words for cards on white cardstock. I thought smile would be appropriate to the contents of the card. The Smile cut was stacked 3 deep and then colored by using versamark and rangers liquid platinum embossing powder. I also used the frames die cut from Simon Says stamp to put a very thin pink border around the flower panel. Of course I had to add some wink of stella to the blossom. This weekend I spoke with my bestie in California, and found out she wasn't feeling so well a touch of the flu or a cold. Her son, (my Godson) is about to head off to college, and life is hectic right now. I thought a little card might make her feel better. This one has a real fall feel to it. I used Lawn Fawns our Friendship Grows set, Lawn Fawn also has matching dies for this set. I used inks from Simon Says Stamp (green leaf), Versafine (onyx black), and Memento(tuxedo black). The flowers, stems and vase were colored with Spectrum Noir Markers. The note card is from Hero Arts, I added some texture to it using Impression Obsession's Thin Stripes. 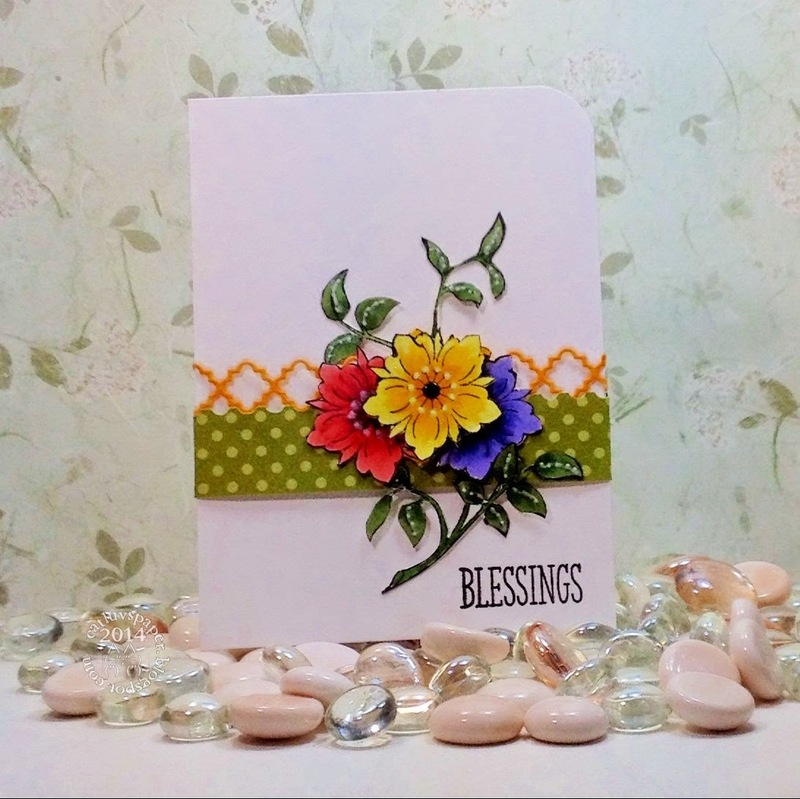 I thought a couple of glitter strips from DCWV, and some wink of stella on the flower petals and vase would make this a very cheery feel better card. I am actually hoping she is all better by the time the card arrives. Thanks so much for stopping by. Last night I got to telecraft with my California scrappin bud. I wanted to make a card for Freshly Made Sketches #152. I ended up making two cards from the same stamp. A simple version and one that is a bit more interpretive. Both fit the sketch. I followed the sketch, but made my card portrait instead of landscape. I used some scraps of patterned paper, Memento Tuxedo Black for image stamping, and Versafine Onyx Black for the sentiments. They came from two sets, Favorite Flowers from SSS, and Fresh Flowers from Clearly Bessotted. I called two dies and one punch into action as well, the postage stamp edge from Ek Success, the Tessatina border from Memory Box and the pierced rectangles from MFT. A bit of white gel pen for the dots, and some shine from clear wink of stella completed the image. A few weeks ago I hopped along on the new release blog hop over at Newton's Nook Designs. Much to my surprise, I was a winner of a great stamp set called Simply Sentimental. I have two other stamp sets from Newton's Nook, so I thought I would make a card featuring their stamps as a thank-you for the prize. The flower basket comes from the Basket of Wishes set. I stamped the basket on watercolor paper, and colored with distress markers.Then I added just a touch of wink of stella to the flowers. The sentiment was stamped and white heat embossed. Three tiny (2mm) clear/silver sequins were added. I loved the long tail on the sentiment, and decided to "hang" the basket from it using white embroidery thread. Thanks so much for stopping by and enjoy your weekend. Hello...do you hoard collect patterned paper? Well get it out and put it on a card. 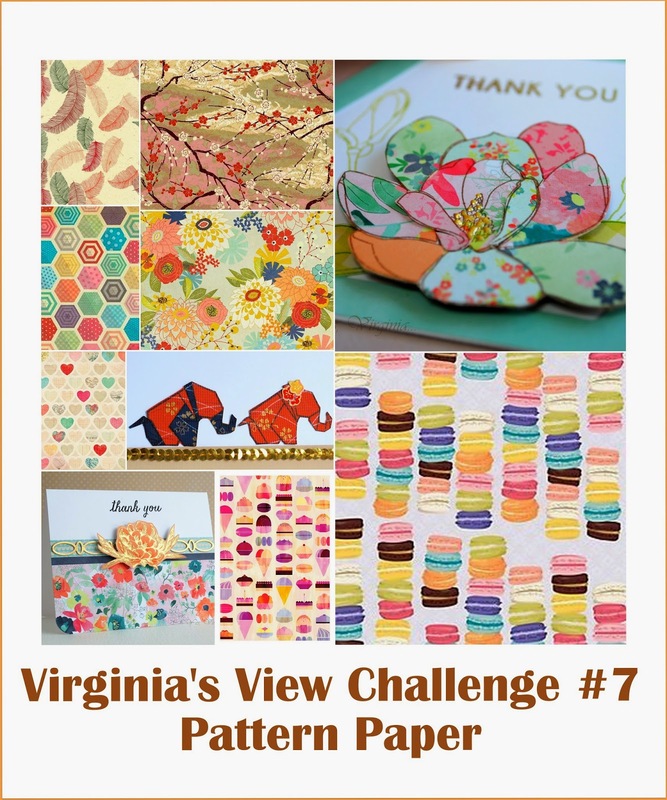 Virginia's View Challenge #7 is about using patterned paper. The challenge runs through the 18th of September, at 11:55 EST. I have far too many 6x6 pads, and today I pulled a sheet out of the Happy Day collection by My Minds's Eye. This subtle pink and white polka dot paper was perfect for my project. I am using the lessons from the latest Online Card Class - Stretch Your Stamps 2, and am paper piecing a hydrangea stamp by Penny Black from the Flower Festival Stamp Set., a la Shari Carroll. I love this technique of layering portions of the stamped image to create depth. I wanted the hydrangea to really give a feeling of round fullness. I think I achieved that goal. I stamped the flower once on the white card and 4 times on the paper. Then I did a lot of fussy cutting. I really do not like fussy cutting, my eyes are too old for this and my hands get so sore, but I have to say the effect for this particular technique...really makes it worth the effort. The tiny black frame is a die cut from Simon Says Stamp called Frames. I cut out the center panel using the die, and colored the skinny section with a black sharpie. No wasted cardstock! I colored the leaves with Distress Markers (Bundled Sage, Forest Moss). After adding the layers I had cut to the panel using a combination of wet glue and foam dots, I added some Enamel Accents in black to the flower centers, the image is too small for my smallest pearls. The background looked too plain to me, so out came some Heidi Swapp Gold color shine. I flicked some spots on the panel. Then I layered the black frame and the stamped and paper pieced image onto the pink card base. The sentiment is from the Simon Says Stamp set More Sketchy Banner Greetings, as is the die to cut it out. I actually cut two pieces of vellum, and layered them on top of each other with a bit of clear foam just enough to get them to stick together, and then put a good layer of foam under the bottom layer. It is almost invisible vellum placement. Greetings, finally I am getting a bit of time to work on some challenge cards. Today's card is made for two challenges. The design and photo inspiration are from Muse#83, and I have used several new to my stash items, the two butterfly dies, the stamp set, and I am trying those offset geometric panels for the first time and for that I am entering this the Die Cut Diva's September Challenge New Things. First I cut the butterfly background from watercolor paper (Canson), I wet it down and lightly tapped some water off. Then I smoohsed ink from Distress Ink pads (picked raspberry and barn door) on my craft sheet and added them to the butterfly base with a paint brush. Next the black outline butterfly was cut. While everything was drying I cut the two panels, and embossed the white one with a Lifestyle embossing folder (Springtime set of 2). 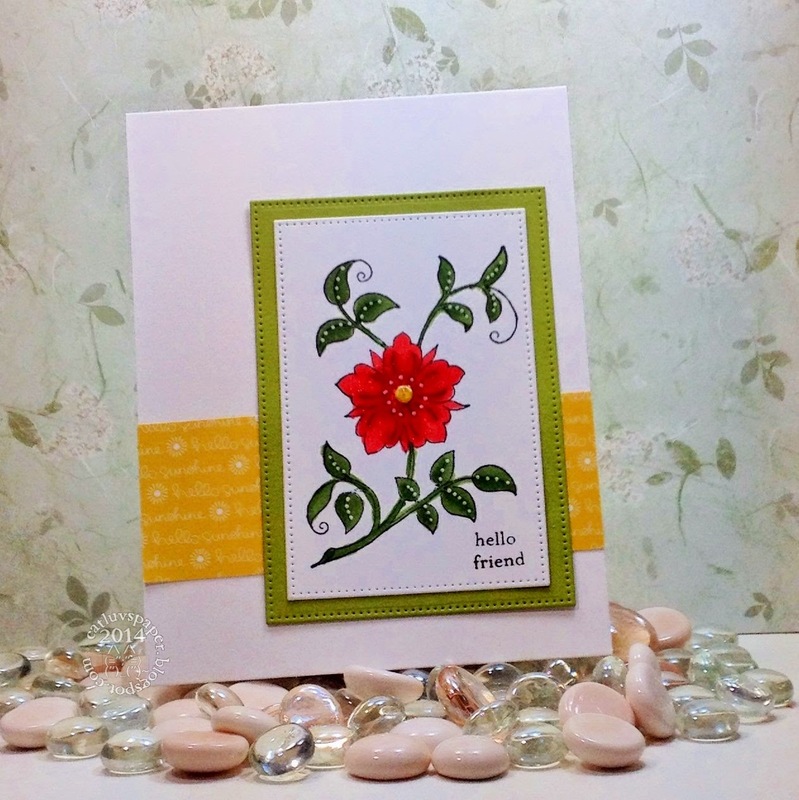 I then layerd them to the card base (Stampin Up-Strawberry Slush). Lastly, I heat embossed on vellum the sentiment from Jillybean Soup (handwritten sentiments) using Versafine Onyx Black ink and clear embossing powder. I adhered this to the front panels with tiny bits of tombow glue behind the big letters. Lastly two pearls were colored black with a sharpie and the butterfly was assembled and attached to the card with 1/8 inch foam dots.